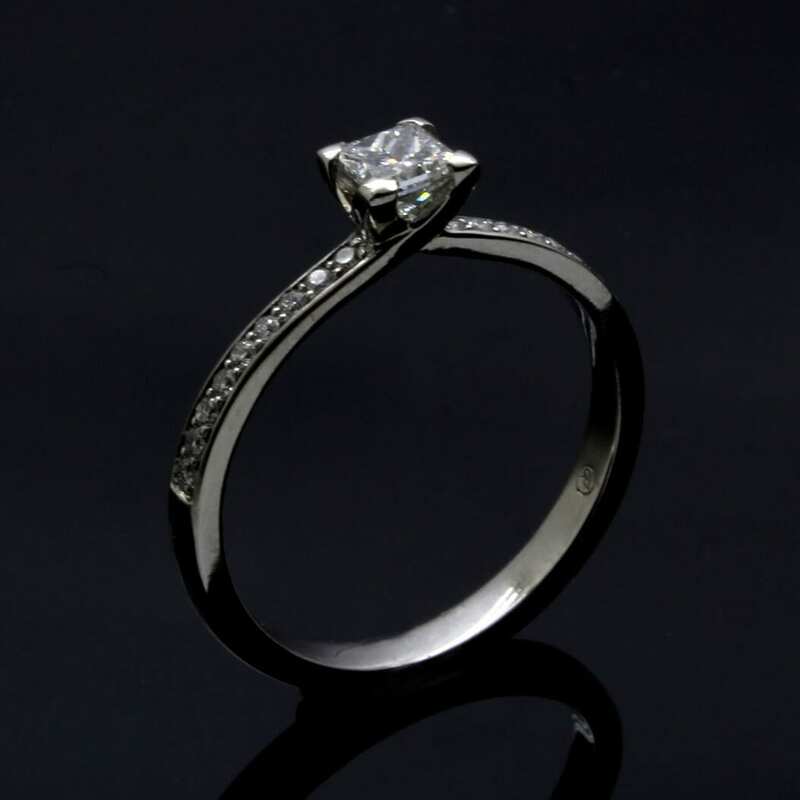 An elegant and feminine Princess Cut Diamond engagement ring with a sleek, modern twist. This expertly handcrafted engagement ring combines sleek contemporary lines and the dazzling sparkle of Diamonds, a unique design by Julian Stephens which utilises the natural beauty of this lovely 0.31ct Princess cut Diamond to create a memorable and unique piece. Crafted from solid Platinum this lovely engagement ring features twin shoulders of Pave set Diamonds for added sparkles, designed to enhance the glittering Diamond centrepiece. This engagement ring can be made to order and every beautiful engagement ring by Julian Stephens Goldsmith is Hallmarked and proudly bears our exclusive Maker’s Mark.